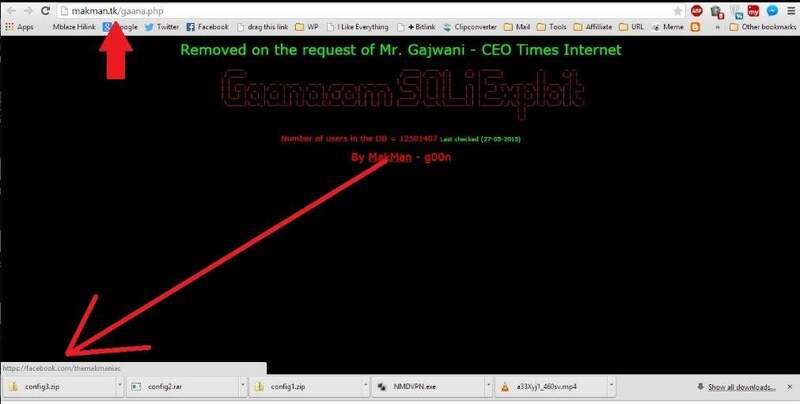 Gaana.com database exploit: A single hacker behind it or an organized hack? Today, popular music streaming website Gaana.com was hacked and actually the database was compromised with the help of SQL injection. Ganna.com had put a banner that the site is down for maintenance but later it was confirmed that the database was exploited. 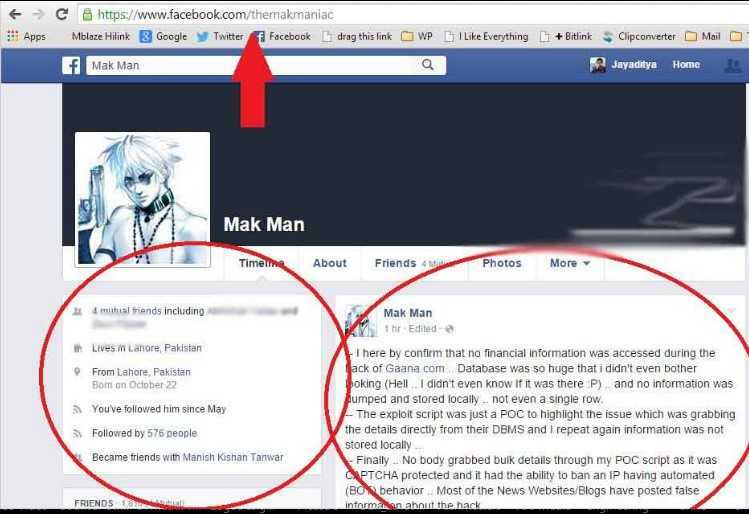 Right after the hack, the hacker who has the nick name Mak Man announced this on Facebook, with details. However, according to Scoopwhoop, Times Internet Limited CEO, Satyan Gajwani had interacted with the hacker on Facebook and the hacker has assured him that most of the users’ data has not been compromised. Okay, so the game is over and Ganna.com is fine and the database has been removed from the hackers website. But, we have found something which seems to be a disturbing and may be a little controversial. Below, in the tweet from Satyan Gajwani you can clearly see that he is interacting with the hacker and the hacker’s name is Sajjad Ahmed, and when I checked his profile it seems he’s based in Lahore, Pakistan. But the Time Internet CEO interacted with him on Mak Man’s profile, so what’s the connection between them? Okay, so this is the guy according to Gaana and Scoopwhoop who is responsible for exploiting the database, but his profile had no updates after April 4th or no info regarding Ganna.com hack. Now, I checked out the hackers website where he posted the information (however that has been removed now). There, the hyperlink redirected to a Facebook user, which you can see below. 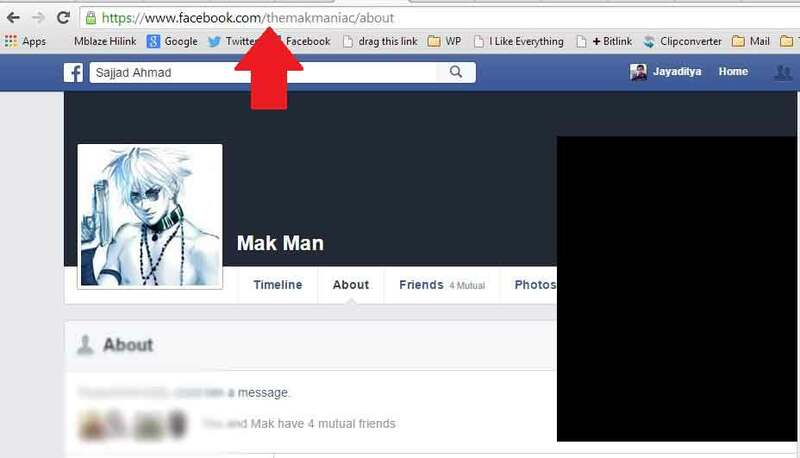 Well, I followed the link and the Facebook account belonged to Mak Man. And I was a little surprised to see that we have 4 mutual friends in common, and was like ‘How the hell did all these happened?’ If I honestly say, I have been friends with some whitehats for a while and none of them have ever exploited anything publicly. And it was shocking to me. 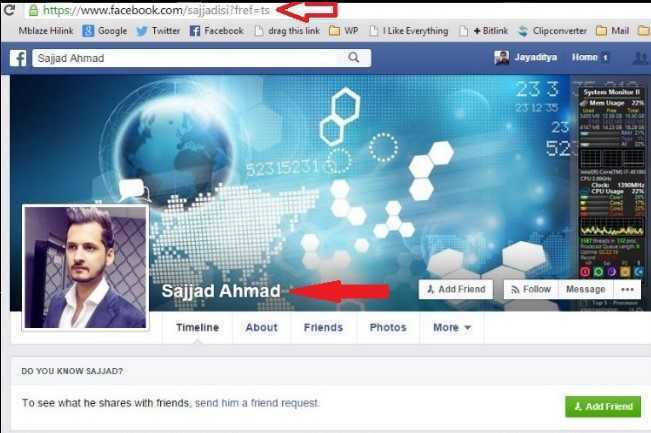 But, immediately I got a doubt- Who is Sajjad Ahmad then? Is Mak Man and Sajjad Ahmad same guy or it was a organized work of a few people? As I have seen on the hacker’s site that Mak Man is behind this, and on his profile also he has announced everything which you can see below. So, you can see that the profile is active and it has been updating every single info related to Ganna.com exploit. The big doubt that I got is, are these guys same or both are connected? May be they are parts of a hacker group or may be it was an organized hack. Because, what ever the Indian media has published till now doesn’t seem to connect these two Facebook profiles. If Sajjad Ahmad is the Mak Man, then why did he disclose his real identity? And if not, why Mak Man has taken the responsibility of the exploit? Right now, I’m trying to think more about this weird connection, but till now haven’t been able to conclude who is the real hacker. The story will be continued, after we find out what’s the connection between these two persons. Till then, signing off! !